I do not fear challenges and I love to try new, creative things. 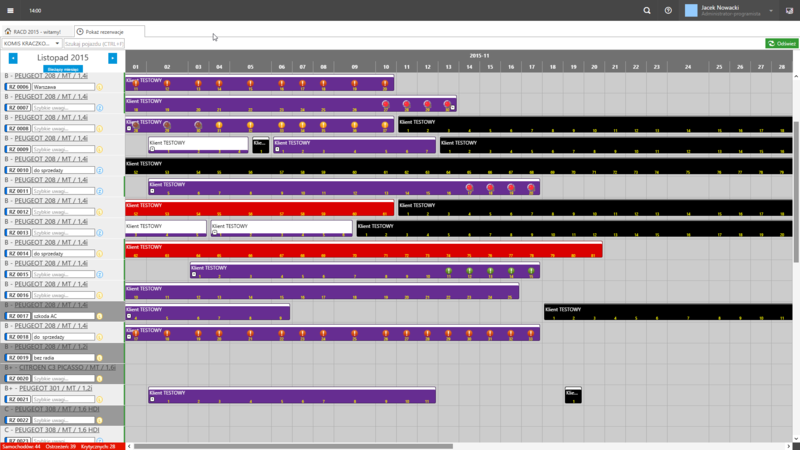 I am kind of perfectionist, but I am keeping this on the sane level. When I am not anywhere near computer - I am probably out of the town, far from people, biking, taking photos or just listening to some musical masterpieces. I am not mastering any of my hobbies, I am leaving that for work. I can not really play my guitar or my drums - instead I do my activities on amateur level. I just enjoy it. This keeps me relaxed and allows to focus when I am at work. Some of my work in random order. While cooperating with IVOPOL Sp. z o.o. I was maintenancing and developing legacy cars reservation application. In 2014 a decision was made about the need to create a new webapplication, based on current technology, easy to maintain and develop while keeping the same level of functionality. keep control over customer payments, work done by employees and people cooperating with RentACarDirect. 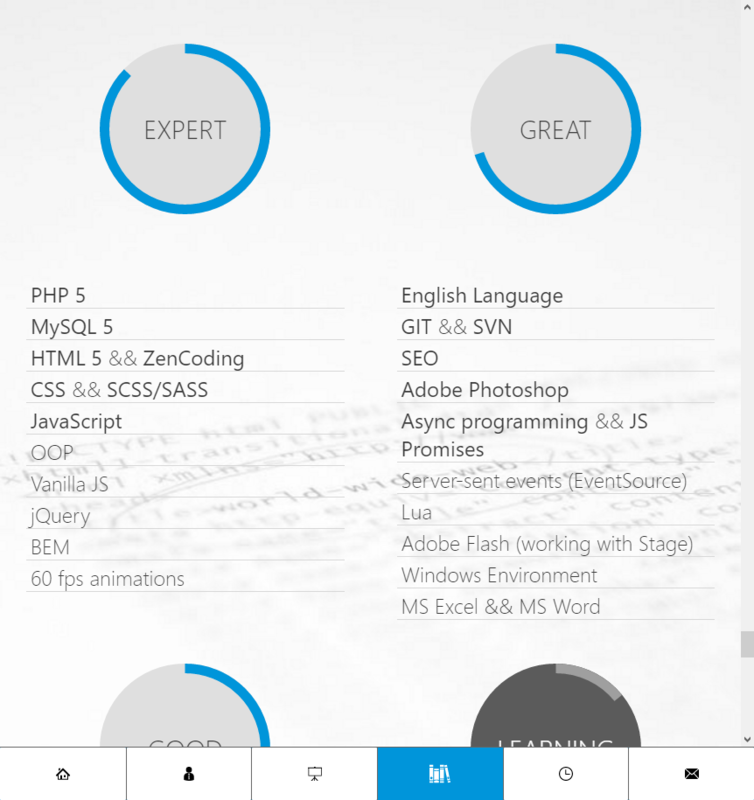 This application is typical Single Page Application built with the help of the jQuery library. 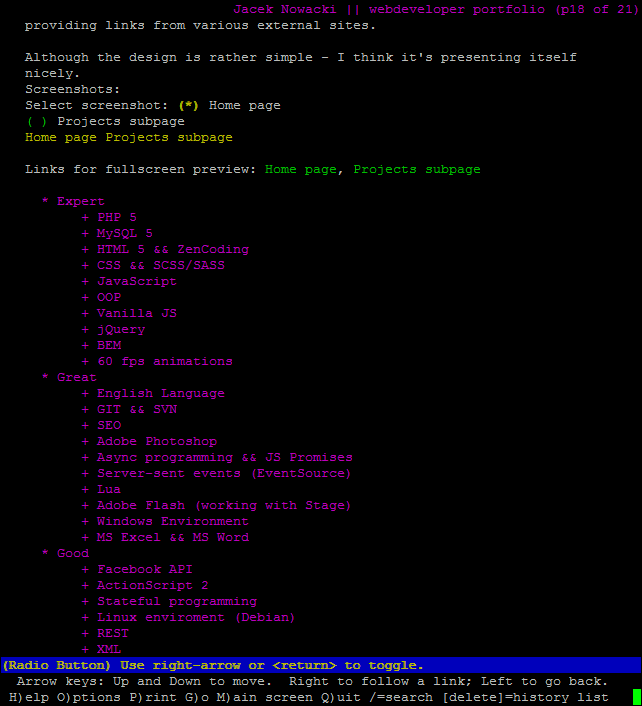 Server-side part is working on PHP 5.4+ with MySQL and few Python scripts (used for automated tasks). Application works fine both on desktop computers and mobile devices. 2015 version of the app was deployed after 385 days of development. Application contains 60 modules and over 100 database tables. Application was made after over 1000 changes commited to git repository. 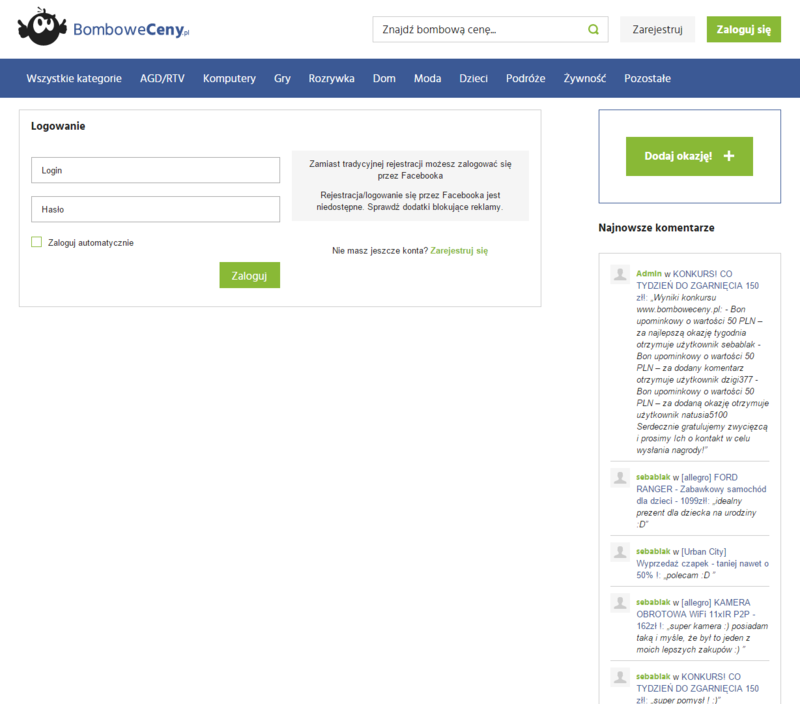 BomboweCeny.pl is a website made for sharing freebies coupons, promo codes, price discounts etc. It was build on Nitra.CMS (more info about this project will be available soon), which provides ability to both edit page contents and manage user-generated content like deals, users accounts and comments. Unregistered users are able to browse the categorized deals, vote on them (but their votes are less valued than registered users) and read the comments. Users may register their account using e-mail or quick-register themselves and login with their Facebook account thanks to Facebook API. Comments section supports some BB Code tags. Deals are searchable with search engine. Site is available on desktop and all mobiles, from mobile phones to tablets thanks to responsive design technology it was build with. 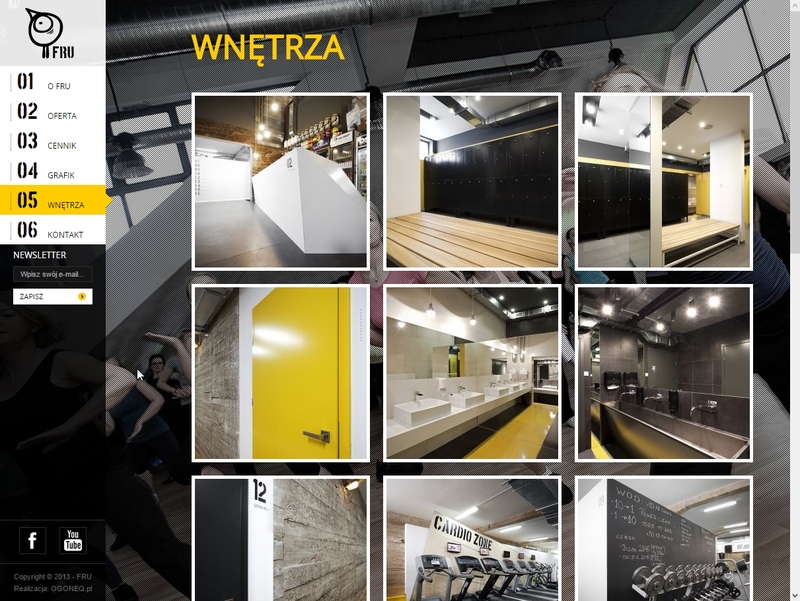 Fru Fitness is a fitness club with modern-designed image. Their website design resembles their interior design. 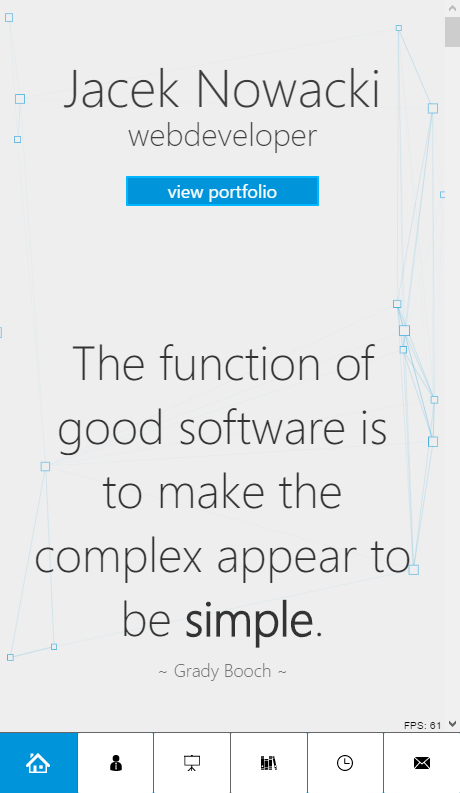 It's a `One Page`-like type of design or Single Page Application with exception that it's just a website. Navigation on the Fru-Fitness is click-based, each click is causing "slides" effect to replace one content with another. No loading occurs while nagivigating as whole page is preloaded at load. Website content is fully editable with integrated CMS system, contains text and articles modules, gallery module, class schedule module and newsletter module. You can also buy (or just order) an entrance pass directly on the site. 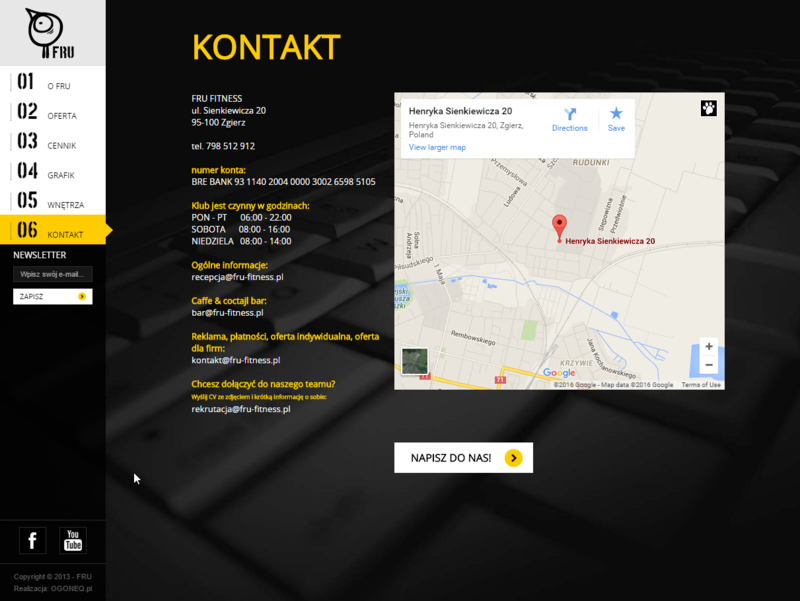 In case you feel lost there is also a contact form and Google Maps map. 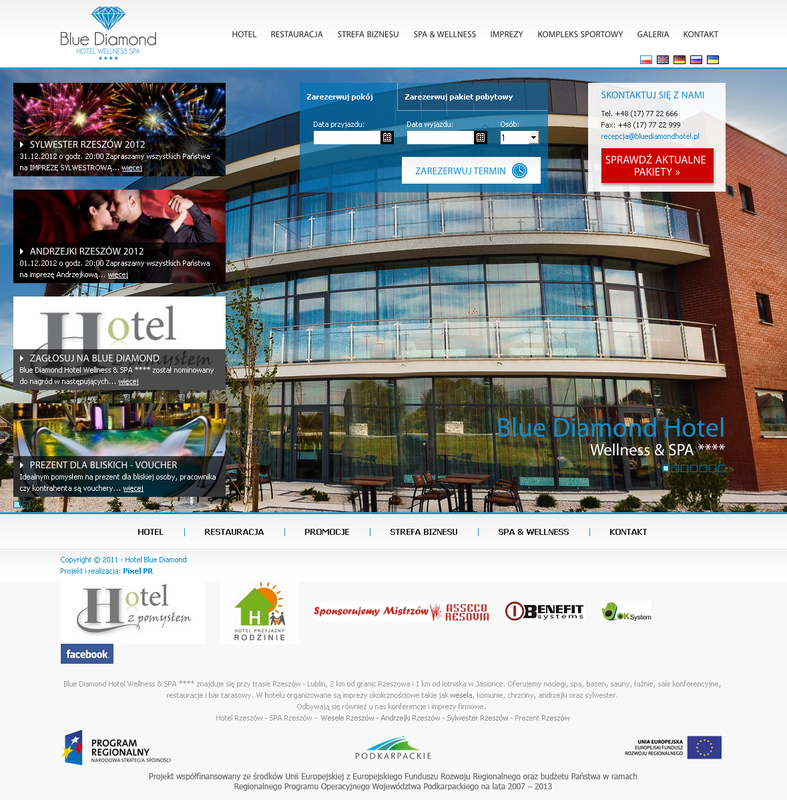 Blue Diamond Hotel's website had to be just like the hotel - modern-designed. User experience had to be dynamic and clear. That's how we've (people at PixelPR) made it. 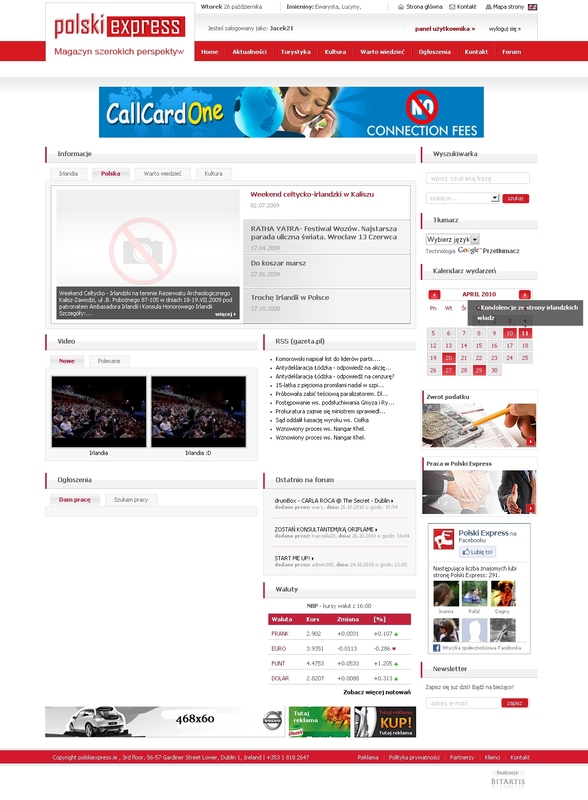 Website was based on custom CMS containing all needed modules to run the site like: text pages, articles, galleries, news. The site was multilingual and was connected into external reservation system. Dynamic homepage showed big-sized pictures of the hotel exteriors and interiors, quick reservation and quick contact widgets. In late 2012 there was an update adding special offers widget on the left (see screenshots). Note: The site is no longer online (it was replaced), screenshots show the state for 2011 and 2013. 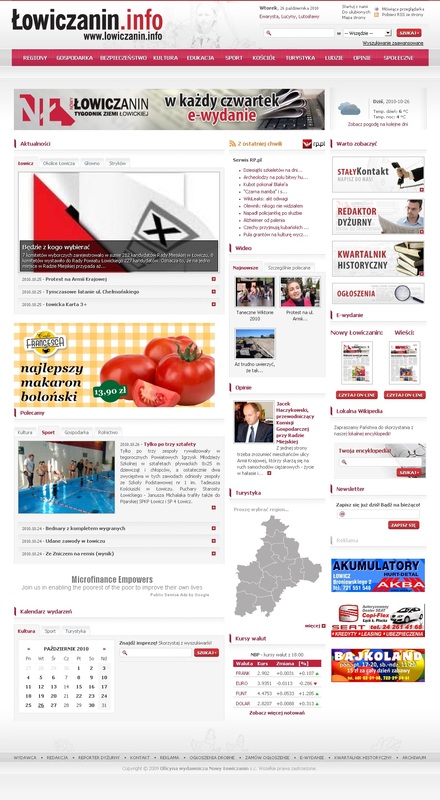 Łowiczanin.info is new version of online portal of local-scoped weekly newspaper. Site was build on simple CMS I have improved to handle all requested features like: feature-rich news system with tags support, video and static images galleries, auto-matching similar news and galleries, moderated comments system (with auto-censorship module), rankings, search engine and polls. Besides news articles site contained user-generated advertisements which was available behind SMS paywall, automatic fetching of exchange rates, automatic fetching of weather forecast, module containing useful places and addresses, calendar module with local events. Additionally website had "national mourning mode" - it is popular in Poland to make sites black-and-white during national mourning days - content was dynamically recreated in greyscale (due to lack of CSS filters back then). 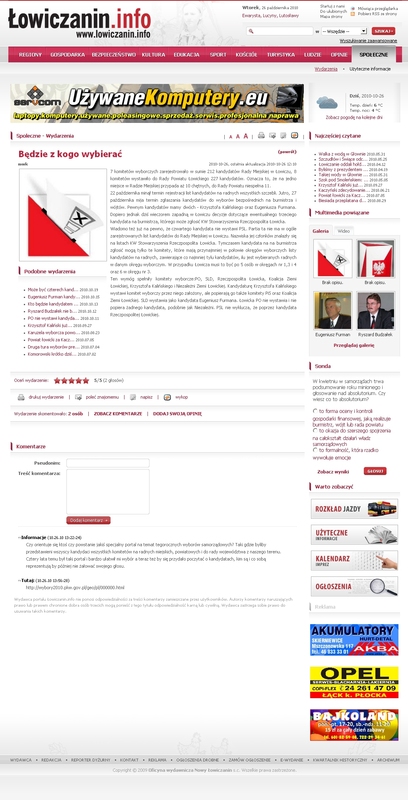 Łowiczanin.info is also connected with some third party services - MediaWiki and OpenX softwares was set up, installed and integrated with website. 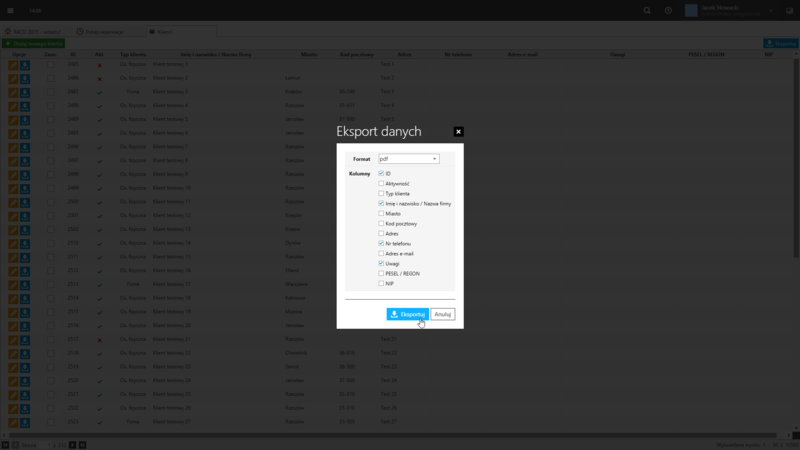 `egazety.pl` integration had also been made (e-book version of newspaper was distributed with it). Of course RSS channels based on many filters was available. Site was screen-readers friendly and had to pass 3rd party checks. Note: This website is up and running, but some features was changed. Some parts of above description may not be up to date because of that. Boxicz.pl was a portfolio of a photographer. 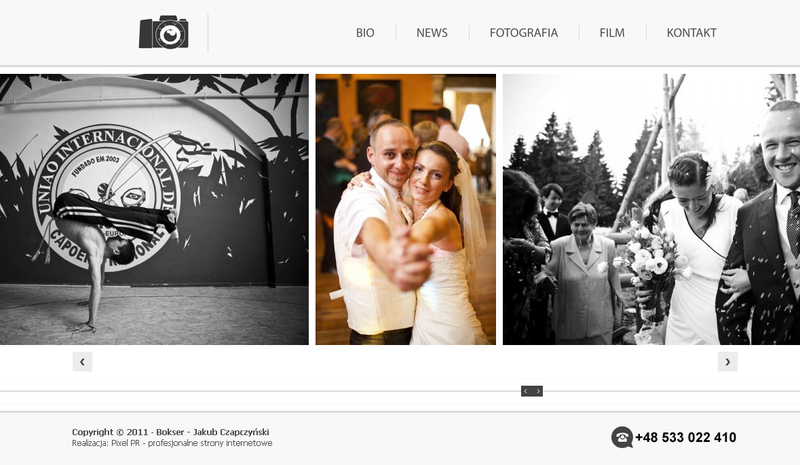 Simple design and interesting idea of photos carousel was a perfect solution for such site. Carousel script was written from scratch with jQuery as there was no script fulfilling all requirements available. 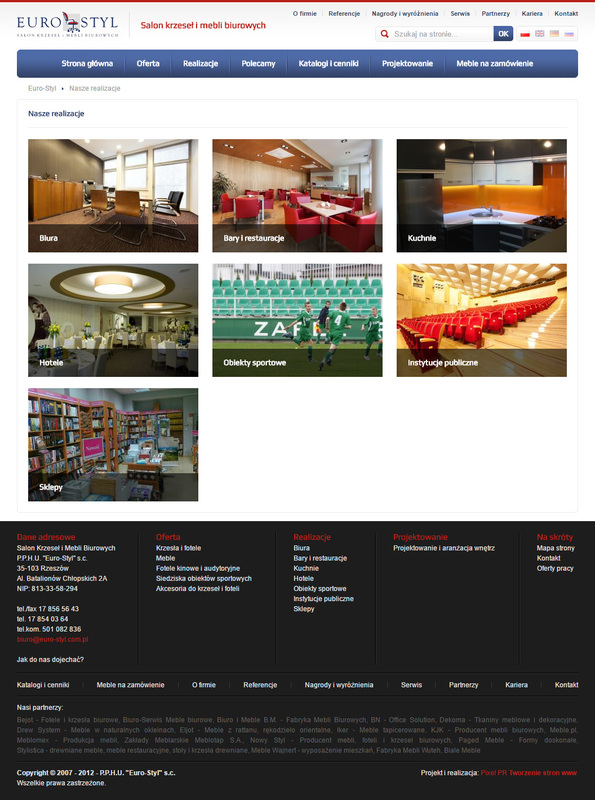 On the page there was a categorised photos and videos gallery, news and contact sections, all manageable from integrated CMS. 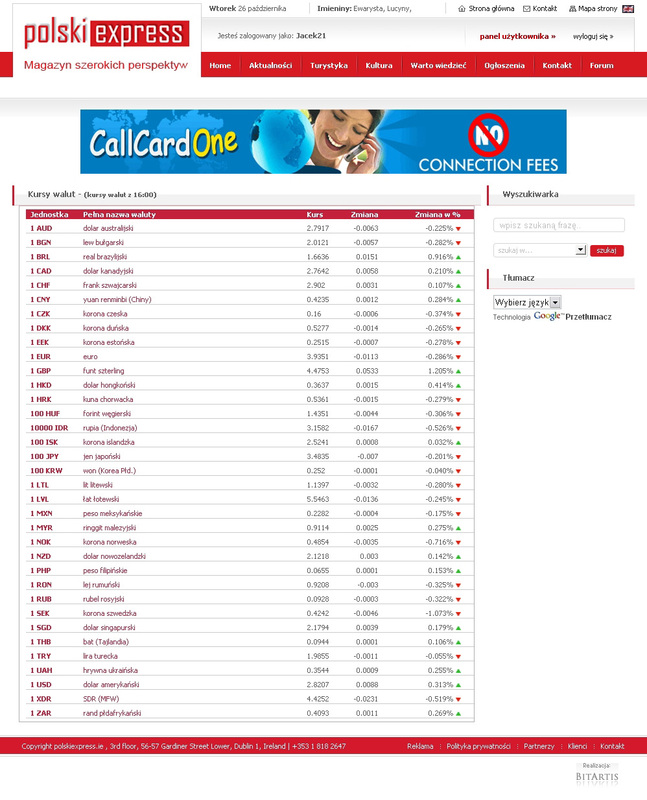 Note: The site is no longer online, screenshot show the state for ~ 2013. 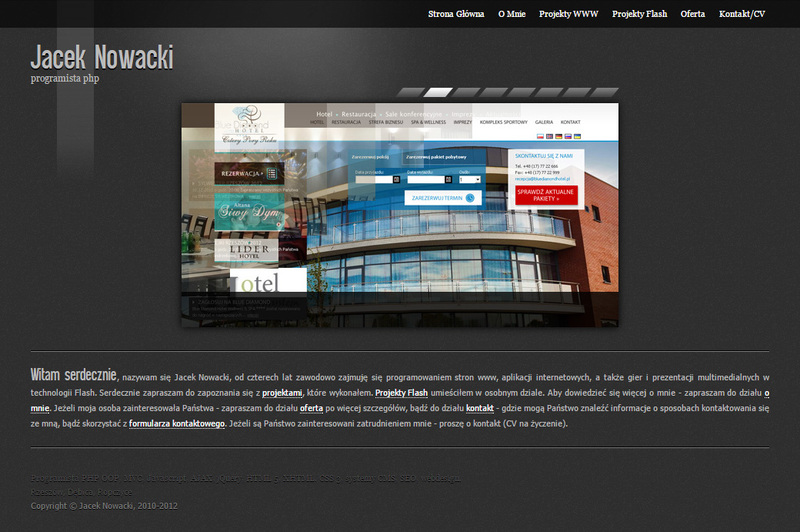 Cztery Pory Roku Hotel's page was created some time after Blue Diamond Hotel. This one was created with HTML 5. Using HTML 5 while it was still in the early process of defining the standard allowed to be ahead of others in terms of using new HTML elements optimizing content for search engines. 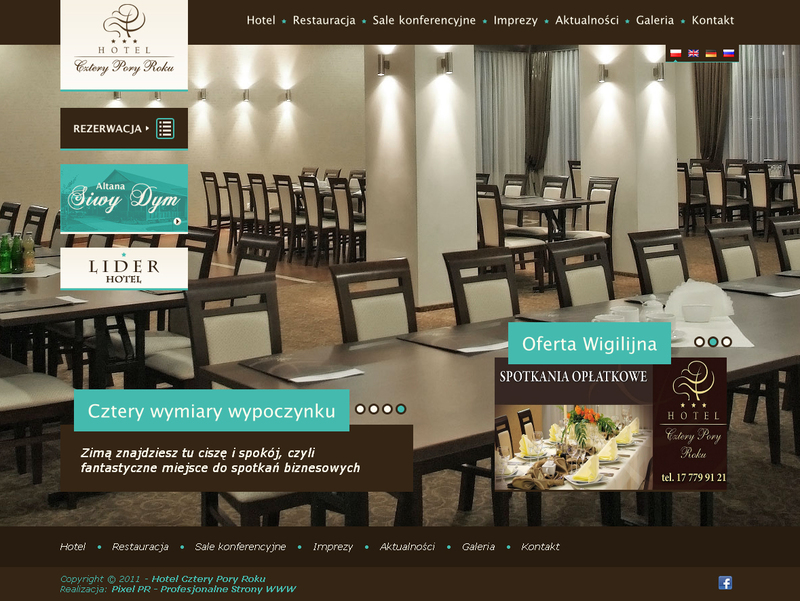 The hotel website is currently (Feb 2016) third webpage showing up when looking for "hotel Rzeszów" in Google, just after Blue Diamond Hotel (which is just after place called simply "Hotel Rzeszów", so it's naturally the first). The site is built with verified idea of placing big images in the center of homepage. 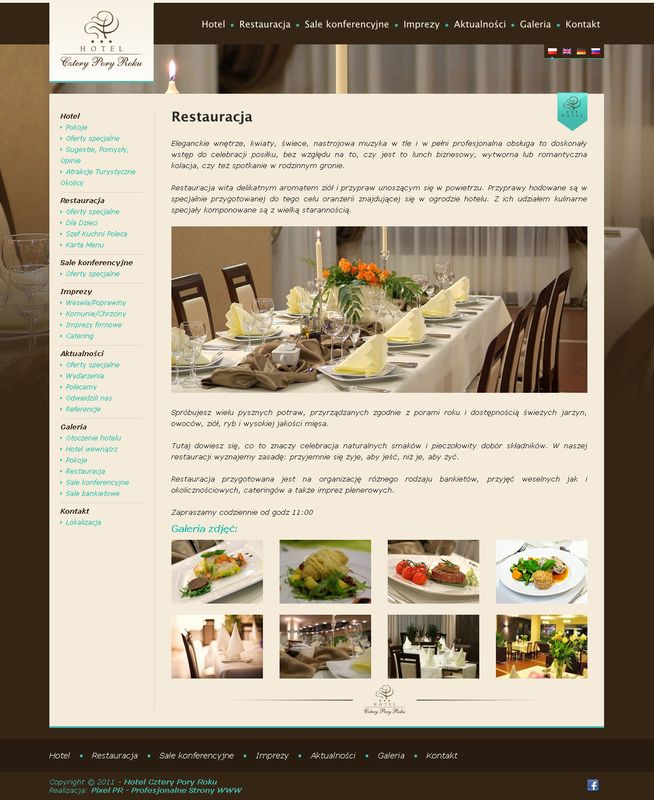 The site is manageable with custom CMS, which has additional module for leaving testimonials after visiting the place. Cztery Pory Roku Hotel's website is of course multilingual. 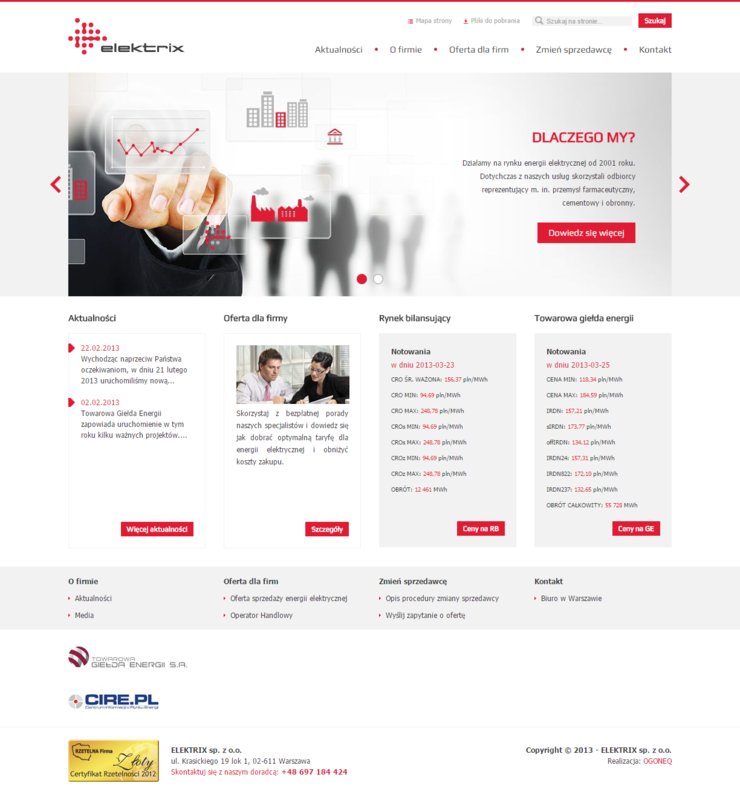 Elektrix is a company website targeted to customer acquisition and offer presentation. 2013 version was nice and clear, but 2015 version brought Responsive Design, fixed position menu (on desktop) and service order directly from the website. Current version is also multilingual. 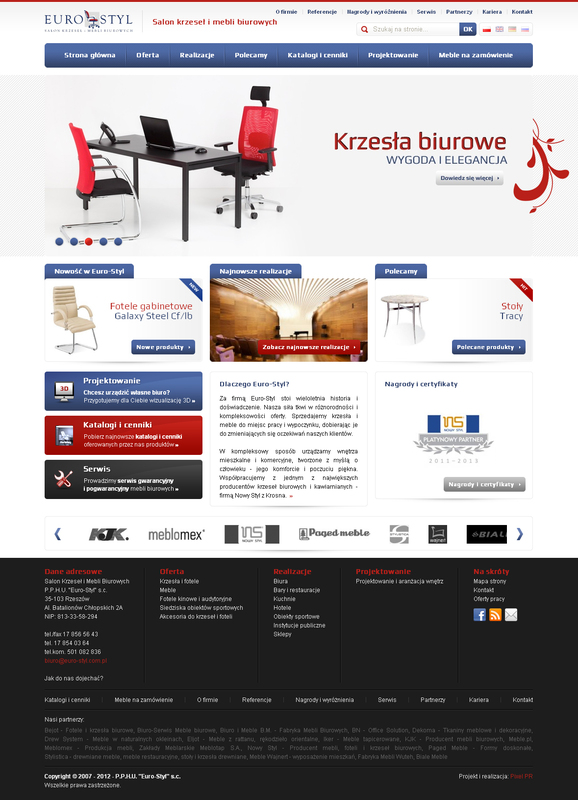 Website content is fully editable with integrated Nitra.CMS system. Everything including slider content, text, images, maps, videos and even wordings like "next page" is controllable from admin panel. Even quick fixes while travelling are possible because admin panel is RWD based too. Polski Express was a website for Poles residing in Ireland. Besides news articles site contained user-generated advertisements which was available behind Paypal paywall, automatic fetching of exchange rates, calendar module with events. One of most important part of the website was user registration and communication - via comments, news rating, private messaging, profiles with photos and other basic social media portals features. Note: This website was never published. MSKPU is abbreviation that translates into The International School of Costume and Fashion Design. This website was a huge challenge as customer was demanding and expected a website with prestige matching to the prestige of the school itself. Module-based homepage contained a lot of information, but was presented in clear way. Subpages contained mostly text and big image galleries. There was of course more standard elements like contact form, site map, Google Maps integration. Site had print styles for clear, free from unneeded mess prints. As always, custom CMS I was maintenancing was powering the website. The site was multilingual. Newsletter was managed and served by the same, modular CMS. Note: The site is no longer online (it was replaced), screenshots show the state for ~ 2013. 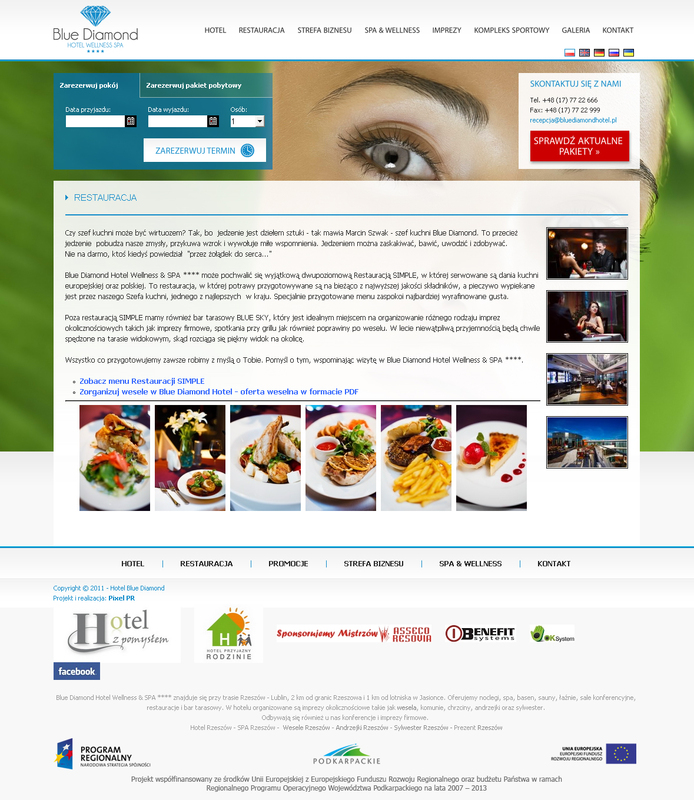 Brzeziniak.pl is a website of a nice place to stay when you come to see Bieszczady mountains. 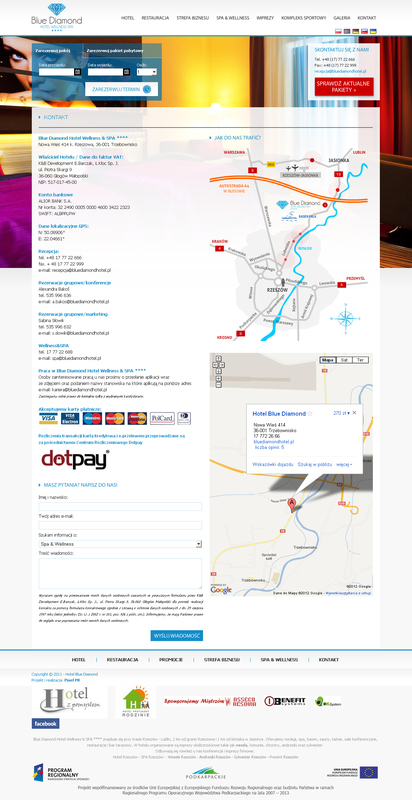 It's a typical information website, containing news, articles, image galleries, contact info with overview map. In the top there is nice Flash animation/slider. Site distinguish itself from others with nice hand-crafted design which didn't get old even after over 6 years. 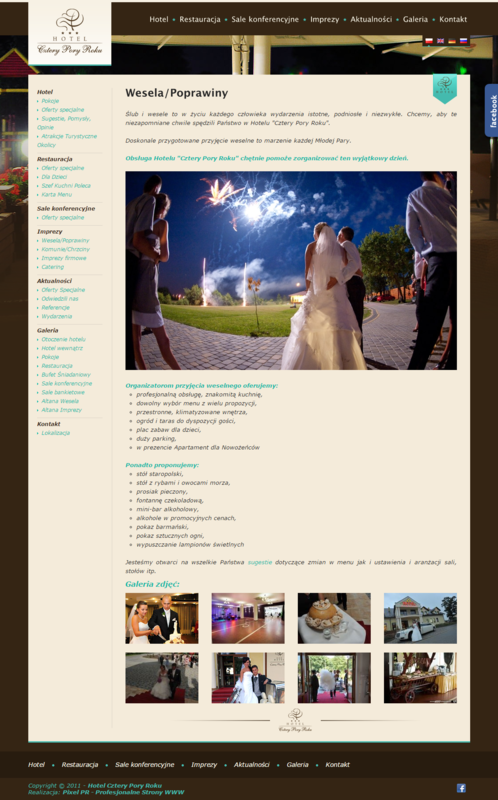 Euro-Styl has modern, HTML 5-based website. Despite the fact this site was published in 2012 there was a decision to drop support for IE6 to make the website more modern-driven. This allowed to use sprites and some other techniques to improve page loading time, compared to older projects and use nice, custom and jQuery-powered slider. As many other project the website is multilingual, has site-wide search engine implemented, download section, galleries, offer presentation etc. Additional task was to import all data from old website. 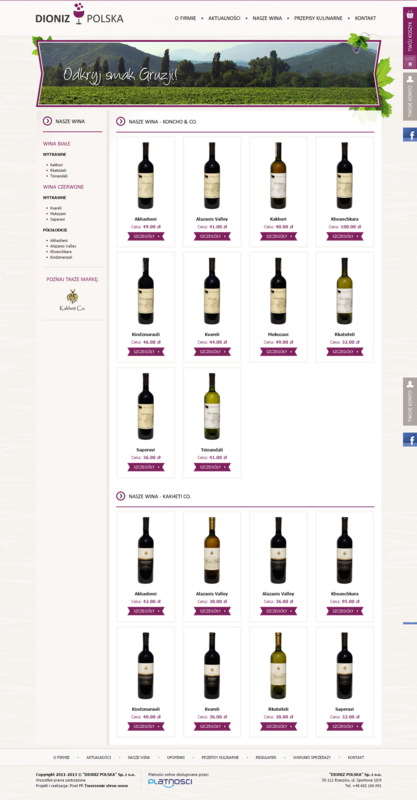 Dioniz Polska is a online shop selling Georgian wines. 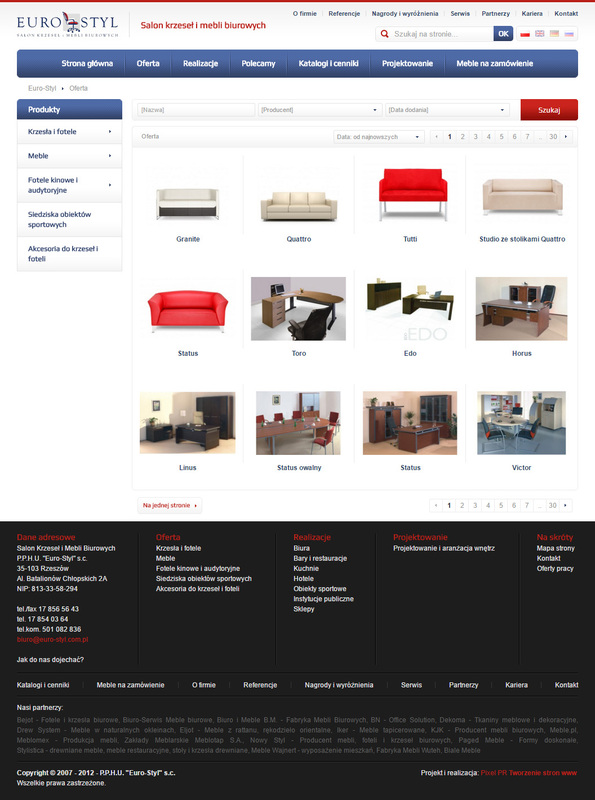 This website is build with custom CMS/e-commerce software. The software allows to categorize products, set promotional prices, set products availability by dates, calculating shipping costs by products ordered and many more. Online payments are handled with płatności.pl. 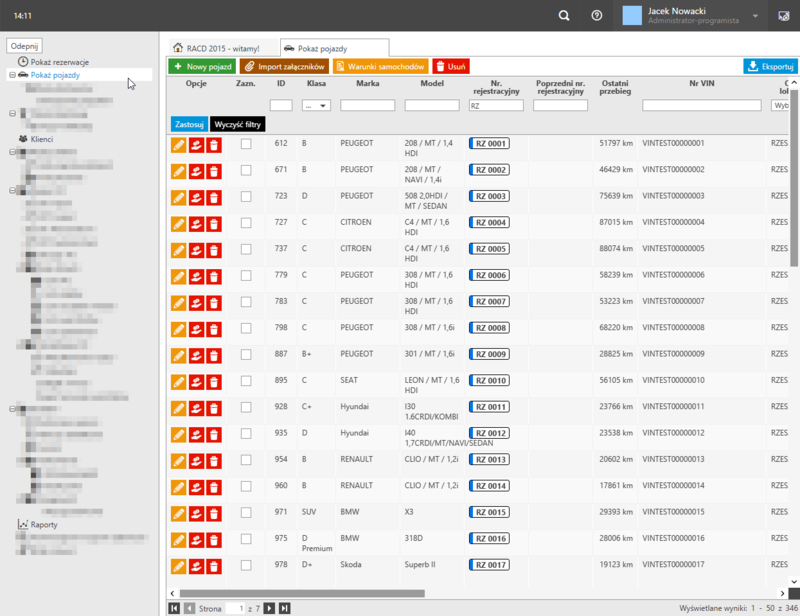 The customers of Dioniz Polska have access to see their orders history, status, they can change their personal data etc. 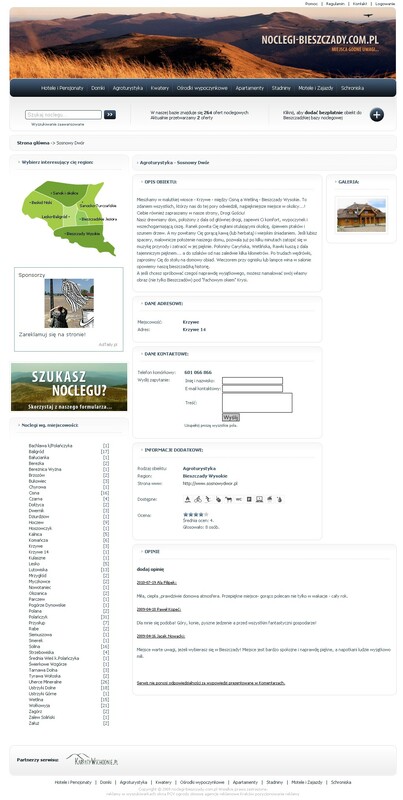 Nocleg-Bieszczady was a portal collecting data about places to stay in Bieszczady Mountains area. I rebuilt, cleaned up and upgraded the code, so it was possible to manage objects added to the site. Registered users was able to add and edit their own objects, comment and rate other objects. 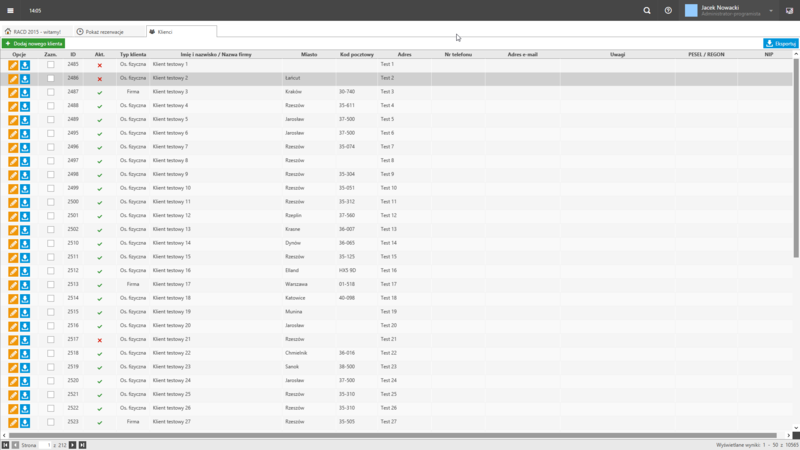 People was able to filter objects by locality, tags, rates and category. Note: This website is no longer online. 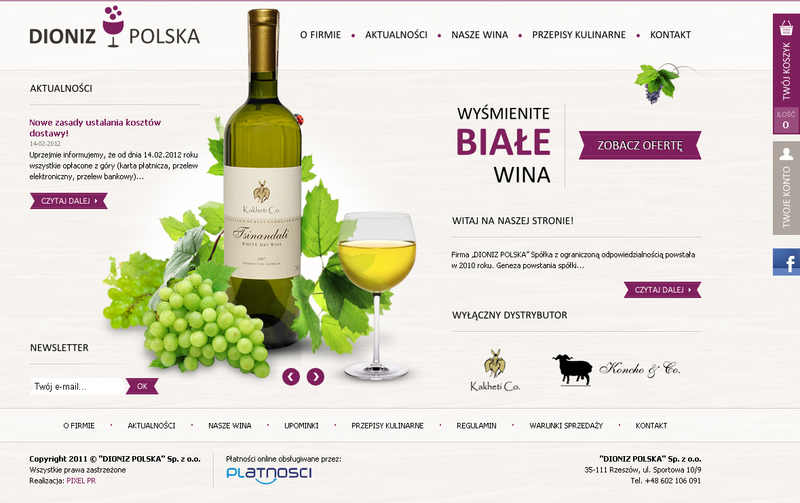 "Atut - Piękne Zaproszenia" was a simple informative website that quickly expanded to the "online shop" range. Using basic CMS software I firstly made simple website, providing useful info about company, showing offered products and allowing to contact the company. 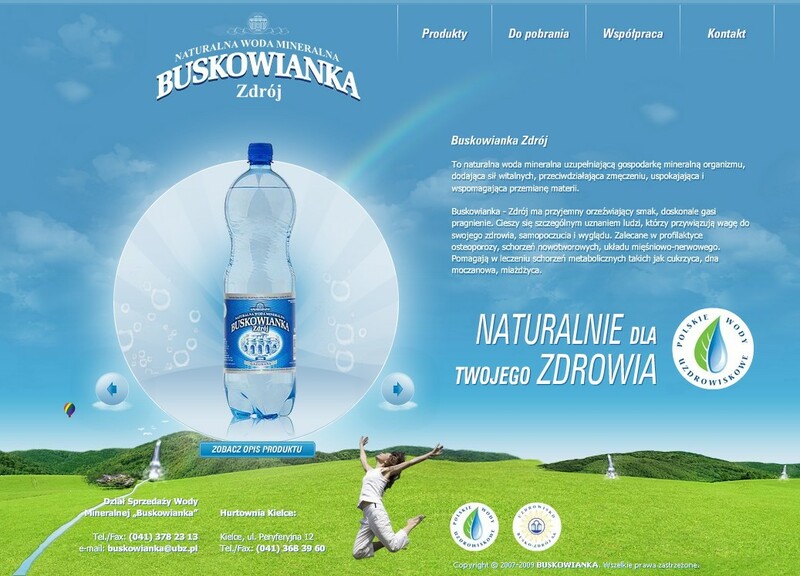 Buskowianka-Zdrój page was Flash-only website. In 2010 this allowed to create multimedia-rich and interactive experience with a lot of animations and detailed graphics. To build this website I sliced PSD views into Flash stage, created some light animations and coded site navigation and Flash-based contact form with AJAX-like experience. Server-side part of website was running on PHP-powered web server. Note: This website is no longer online (it was replaced). 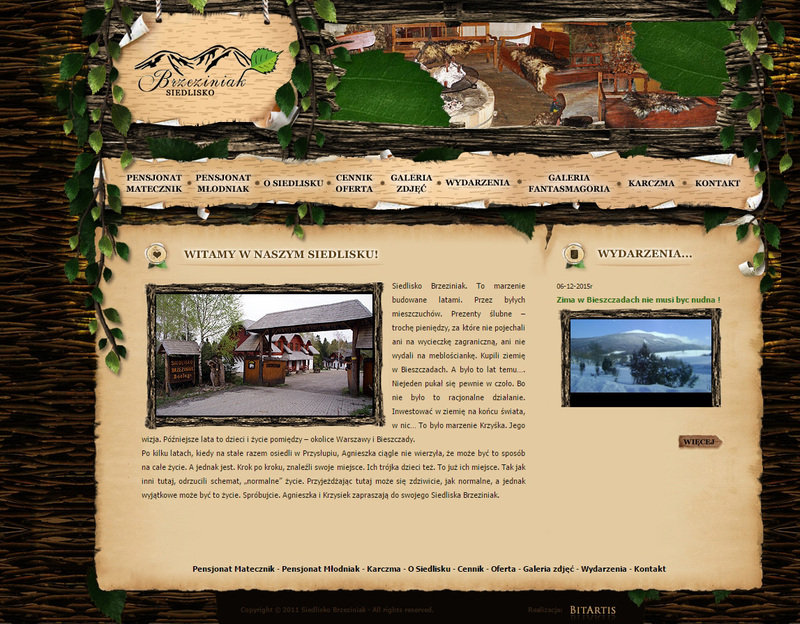 Zatrudniam.pl is a multimedia presentation made with Flash. Flash was chosen because this presentation was later put on a CD, which was an addition to newspaper issue. Flash allowed to create a presentation that was later compiled into exe file, so there was no need to additional installations or requirements on the viewer computer. In this project I did the PSD slicing into Flash stage job, prepared the text and images materials (I reformatted and aligned them), made Attachments section work directly from presentation and of course coded whole navigation. My first online portfolio was my first project all designed by myself. 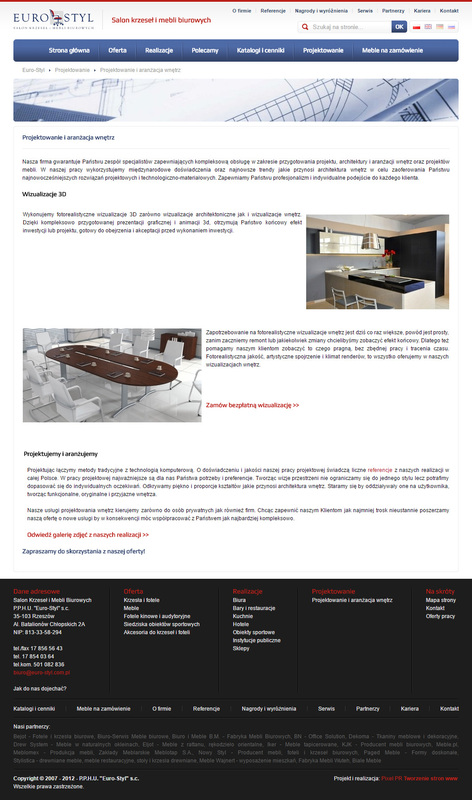 It was a static HTML 5 page presenting some information about me, my previously realised projects and contact info. 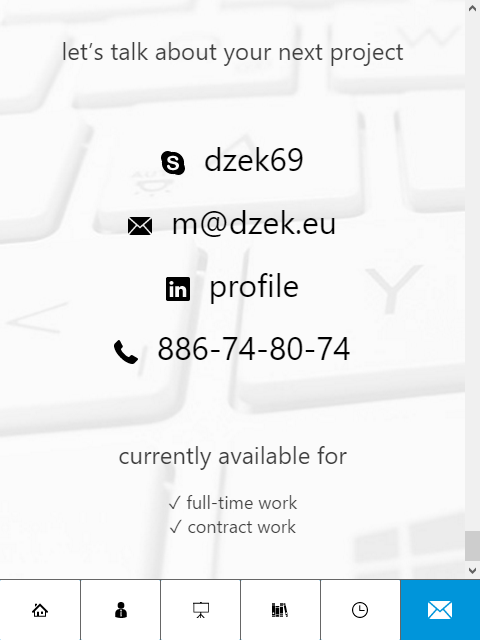 I consider it a success because use of semantic HTML 5 tags, just when HTML 5 started to be widely used helped me to keep my site on the top of Google results of programista PHP Rzeszów phrase for a very long time (currently some job offers are higher), which was just what I desired. This didn't require me to make any other actions, like providing links from various external sites. Although the design is rather simple - I think it's presenting itself nicely. My second online portfolio was my second web project all designed by myself. It's a One Page kind of page with custom responsive design code that allowed me to create a page without these "Bootstrap feel" and "It's another page with the almost same template - feel". The animated background of Home section (visible on desktop only) is simple canvas animation that I've made from scratch. This website uses no jQuery, just a Vanilla JS-based library Bliss.js, which is mostly a lightweight wrapper on `querySelectorAll` returning pure `Array` with pure `HTMLElement`-s. I hope you liked my work. If I got you interested - feel free to contact me. G2A.com - Responsibilities: mainly front-end development using cutting edge tools end technologies, including, but not limited to: (Universal) React or Angular (websites and webapplications). Ivopol - B2B cooperation. Responsibilities included: fixing, maintenancing and upgrading existing software used for running car rental service on both front- and backend, maintenancing Linux-based servers. In year 2014 a decision to create new version of this software was made and I was responsible to make and finish this project from scratch. See more in Portfolio section. I started my own company named Nitra Software. 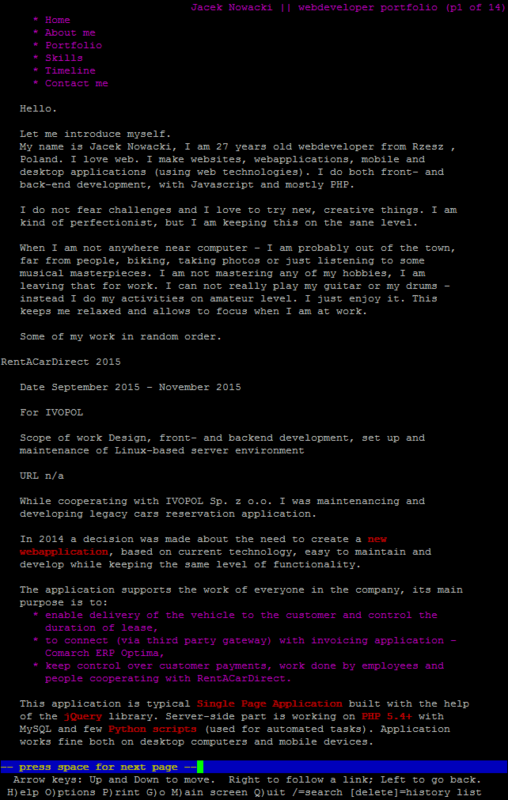 Autocard - full time job as webdeveloper. Responsibilities: fixing, maintenancing and upgrading existing financial and mangament software on both front- and backend. 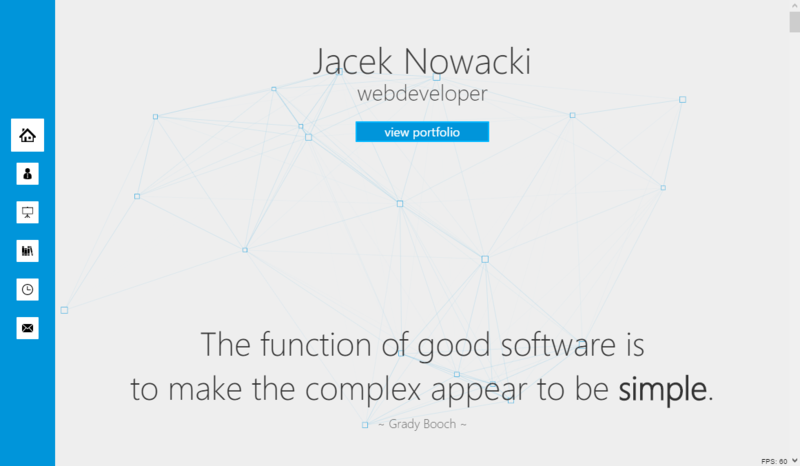 Pixel PR - full time job in advertising agency in Rzeszow as webdeveloper. Responsibilities: coding and upgrading CMS system, slicing websites layouts, front- and backend programming, preparing banners and multimedia presentations using supplied materials. 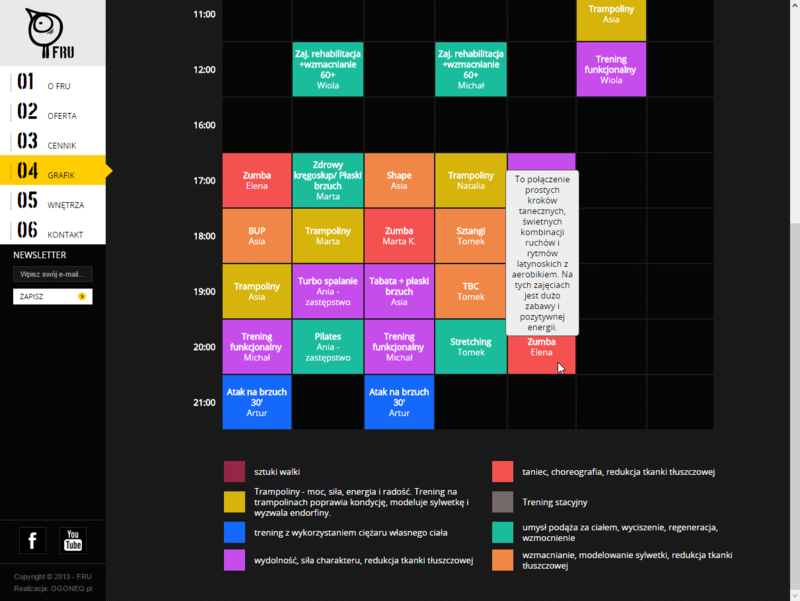 Selected projects done for Pixel PR are shown in Portfolio section. BitArtis.pl - Student internships, probation and full time job as webdeveloper. Responsibilities: slicing websites layouts, maintaining and upgrading CMS system, creating banners and multimedia presentations in Adobe Flash using supplied graphic materials. 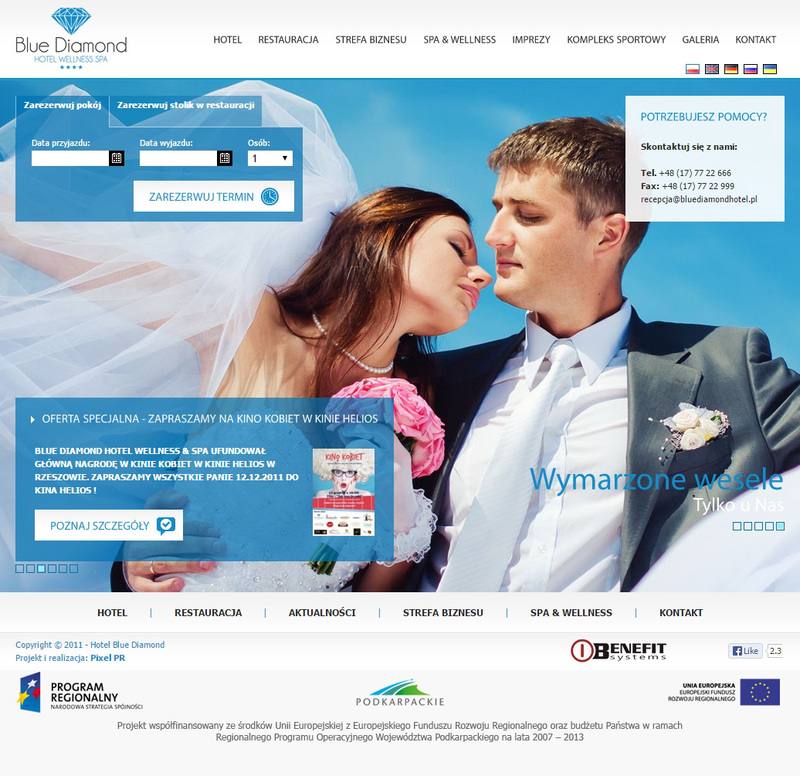 Selected projects done for BitArtis.pl are shown in Portfolio section. University of Information Technology and Mangament in Rzeszów. Faculty: Information Technology. Speciality: Computer graphics. Tadeusz Kościuszko High School in Ropczyce. Course: Information technology and mathematics. to make the complex appear to be simple.